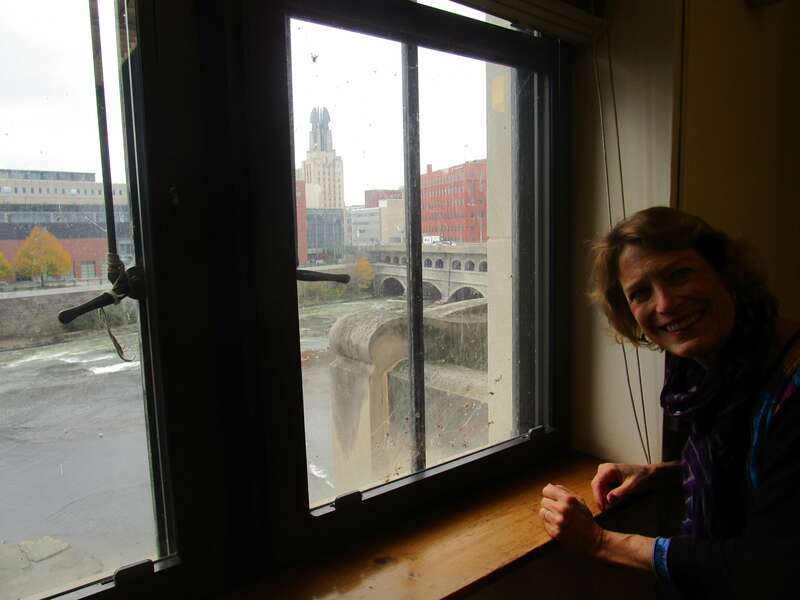 Looking over Genesee river, through Rundel’s windows, where even spiders have spun yarns. 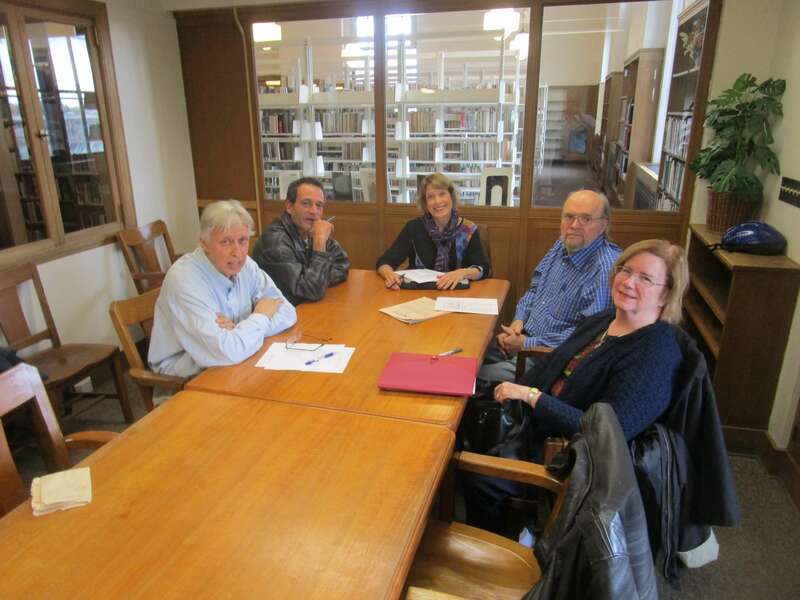 You hardly need me to tell you the Rundel library is perhaps the original Gem on the Genesee. 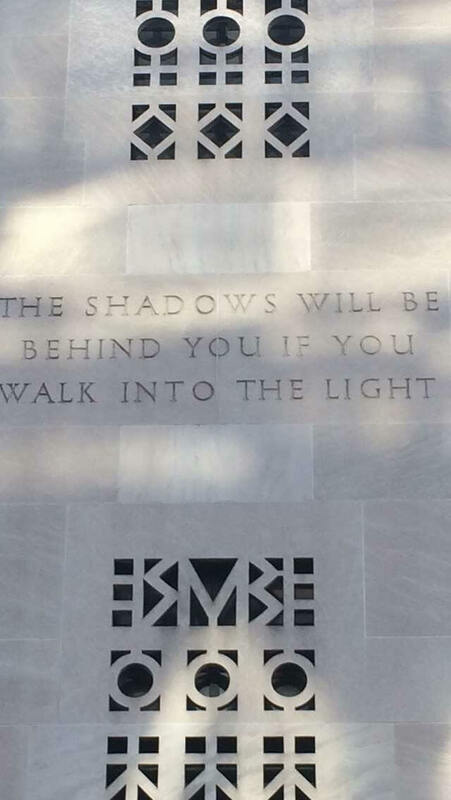 Many a brooding shadow have I left behind when walking into its light (adapted from inscription on the main wall). As seen in the flyer, Poetry Oasis takes place Thursdays 12-1pm in the Literature Study Room. As Kitty says, the sessions are always “O Pen” to everybody. On an otherwise dreary afternoon, myself and 4 others were treated to Kitty’s lively imagination and our collective insights as everyone chimed in at one point. Eyeing our way through Naomi Shihab Nye’s “Eye Test,” we saw the multiple layers the poem provided: A for accessible, E for enjoyable D remained desperate and M for the mystery that can’t be read without a story. Kitty discusses the power of getting a group together to discuss poetry. Right now I have a participant email list of 35 people, from a range of ages and experience. This is really quite a high number given how people have to sandwich in their poetry sometimes on the run at lunchtime. The format allows everyone to read, respond to what they see in the craft of each poem. Once people come to discuss poetry the way we do, they realize the power both of the words, but also the mirror of the group illuminating both poem and all of us in our living. Speaking of poems, we need some. Have blog. Need poems. You may soon be living in New York State's first "EcoDistrict"
What Millennials think of the Bridge Generation at Lux Lounge.